Thursday 7 May 5:30-7:30pm Tears (1998, Short film, 15mins) and A Sister's Love (2007, Documentary, 55mins), followed by a panel discussion with Paul Collis and Susan Thwaites. Internationally acclaimed filmmaker Ivan Sen has written and directed a number of feature films including Beneath Clouds and Mystery Road, as well as Loveland, a sci-fi romance currently under development. He is recognised for his low budget, minimal crew approach to filmmaking as well as his short films and documentaries. By highlighting the work of Ivan Sen, and showcasing his trajectory as an artist, the symposium will explore his career to date and contribute to the appreciation and knowledge of Australian cinema. The symposium will focus on the creative practice of filmmaking and encourage a conversation about the art form through the eyes of a visionary filmmaker. 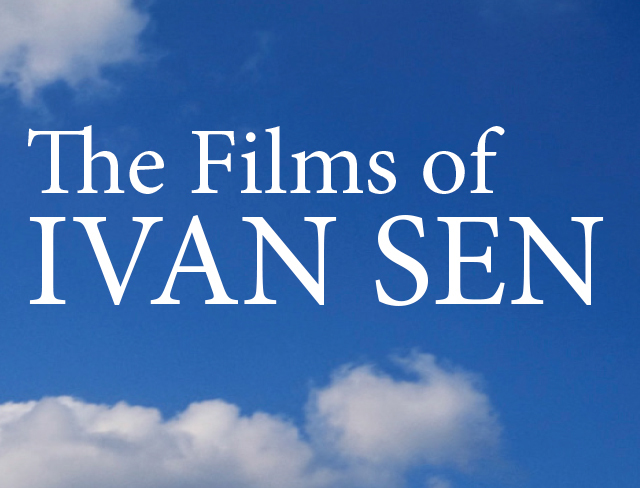 A selection of Ivan Sen's films will be screened at UC in the month prior to the symposium, which will allow members of the broader academic community and the general public to engage in a collaborative discussion of Sen's work. Keynote speakers: Ivan Sen and Ross Gibson. Guest speaker: Darlene Johnson. Abstracts to be submitted by Friday 18 May 2015. Extended to Friday 5th June. Postgraduate students are strongly encouraged to submit proposals. The screening series and the symposium are hosted by the Centre for Cultural and Creative Research (CCCR) in association with the Ngunnawal Indigenous Higher Education Centre, at the University of Canberra.